Following our naming competition, we have named our gorgeous new multipurpose chair “Eclipse”, reflecting its superior specification, as well as suggesting the gentle curve of its back. 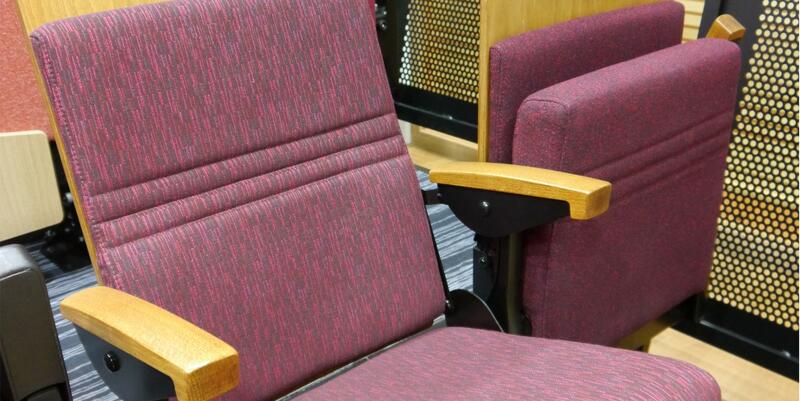 The Eclipse chair is available for retractable, removable and fixed seating installations. It offers outstanding build quality and durability as well as an exceptional level of finish. To find out more about the chair, please visit our Eclipse product page. Congratulations to our competition winner Charlotte Groves – Charlotte please get in touch with the marketing department here at Audience Systems on 01373 865050, as we are unable to send correspondence to the email address you supplied.